Our Holy Family Sunday School program is designed for all parish children ages 3, 4 and 5(kindergarten) both Holy Family School and public school. Children attend classes in the school during the 9:30am Mass and learn about Jesus and our Catholic faith through Bible stories, crafts, songs and games. Catechists plan lessons specifically designed for young children. Our three year old program is limited to the first twenty children who register and all children must be potty trained and be three years old by September 30. The four year-olds must turn four by September 30. Kindergartners must be attending school and be five by September 30. Additional options for preschoolers and kindergartners: There is a kindergarten class in our PSR program, and Catechesis of the Good Shepherd for 3 and 4 year olds. Both are held on Sunday mornings, 10:45-Noon. Check the PSR and CGS websites for more information about these programs. Registration forms are available in the red and white folders in the bell tower and lower church hall entrances and in the rectory office, or you may register online at holyfamilystow.org and pay with a credit card. If you would like your child placed in class with a friend, please put this information at the top of the registration form or attach a note to the form. We will make every attempt to honor these requests. Sunday School classes begin Sunday, September 9th. You may bring your child to the classroom starting at 9:15 a.m. See the windows at the back of school for the list of classrooms for each age level. CLASS LISTS will be posted outside the classroom doors. If you would like to help in a classroom (we are always in need of teachers, subs and assistants), or if you have any questions, please contact me at mah3718@yahoo.com. 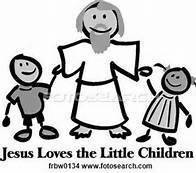 We look forward to assisting you in bringing your child/children into a closer relationship with our loving God.